Café Vue at Melbourne International Airport is the newest off-shoot of the city’s grand dame of fine dining, Vue De Monde. Rigorously overseen by Master Chef Shannon Bennet, Café Vue draws on elements of its 2-hatted parent, minus the fuss. Think simple, delicious French fare for morning and lunch, such as toasted sourdough and fruit bread baked fresh on site daily. For later in the day enjoy French onion soup or a burger with (French) fries. And if you're not a fan of plane food, grab a delicious Café Vue dinner box to take on your long haul flight - you'll be the envy of your fellow passengers! Always fresh and delicate, Café Vue caters to a hectic city crowd with ease and speed. Its delicious menu appeals to Melbourne locals, and has found a whole new audience of international followers. 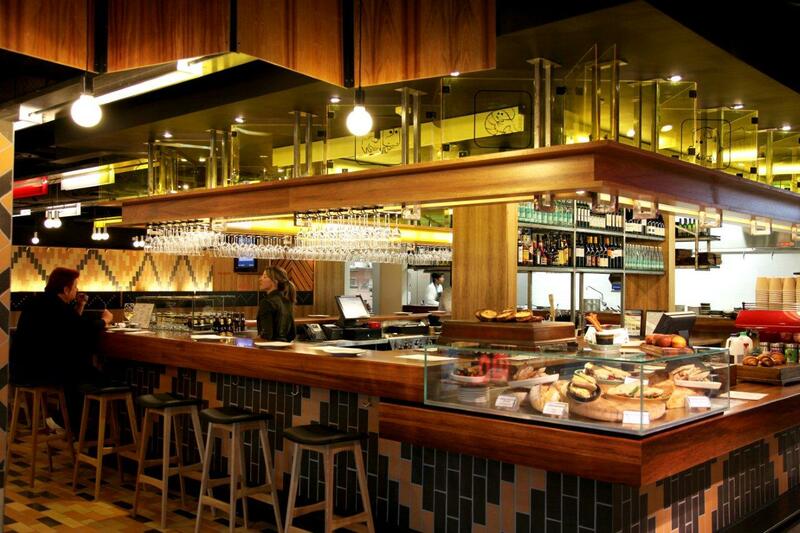 Visit Café Vue airside and Café Vue Express landside at Melbourne International Airport.